He's a driver for hire – the best one there is – and if you follow his rules, he'll get you safely from the scene of the crime. But the quiet, stoic, young man with no name is about to be in greater danger than ever before, because when you're in the big leagues, a double-cross is always around the corner. There's a bag full of cash he doesn't want, a driven, dangerous new enemy targeting him with fierce intensity... and in the middle of it all, a young, attractive woman he's just met. As the Driver starts to challenge his own “no guns” policy, the bad guys quickly learn – the hard way – that not liking guns isn't the same as not knowing how to use them. 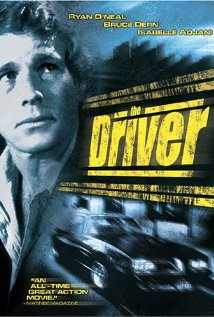 Whatever his past may hide, the Driver doesn't need a car to cut a bloody path through whomever stand in his way. - Know what movie I'm talking about?